Different life stages require different resources for people with Down syndrome and their loved ones. If your baby has been given a Down syndrome determination or possible determination, it’s important to remember that nothing you or your partner did before or during pregnancy caused your child to have Down syndrome. It happens in the early stages of cell division at conception and is something medical science still does not fully understand. 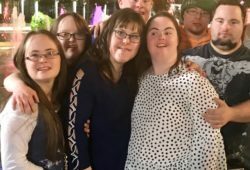 No matter which type of Down syndrome your child has, the effects of the extra genetic material will be unique to them. They will have their own strengths, likes, dislikes, talents, personality and temperament. Think of your baby first as a child. Down syndrome is just a part of who they are. Babies with Down syndrome need what all babies need: cuddles, nourishment, and love. They will grow, learn and develop, reaching childhood milestones – just at their own rate. Although your baby may have some physical characteristics common to people with Down syndrome, he or she will also look like members of your family. Your baby also needs health care, a rich, stimulating learning environment and the company of family and friends. It’s important to understand some of the common characteristics of babies with Down syndrome, including possible health and development issues. Attitude is the most critical factor related to the success of young students with Down syndrome. If you think a student will succeed, he will. When students are treated like valued learners, they learn. Everyone in a school is part of the inclusive learning environment, and educators need to be willing to work as part of a team and be open to trying various methods of teaching and learning. Students with Down syndrome are capable learners who will progress with appropriate supports and opportunities. People with Down syndrome have the right to seek employment in their communities. Individuals with Down syndrome have many abilities and should be supported to make informed choices about their work and careers, and have the resources to seek, obtain, and be successful in community employment with fair wages for fair work. 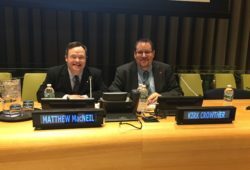 The Canadian Down Syndrome Society advocates specifically for Inclusive Employment. Adults with Down syndrome are now reaching old age on a regular basis and are commonly living into their 50s, 60s and 70s. While there are many exciting milestones that accompany growing older, old age can also bring unexpected challenges for which adults with Down syndrome, their families and caregivers may not feel adequately prepared. In order to enjoy all the wonderful aspects of a longer life, it is important to be proactive and learn about issues that may lie ahead.